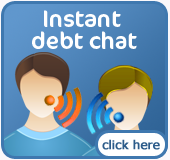 This section of the website will provide basic debt help and advice for people with varying levels of financial difficulty. 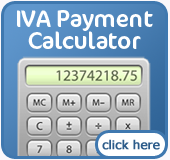 Our hope is that you can avoid insolvency by following some of the advice we have provided. If at any point you’re looking for confidential no-obligation financial advice you can contact us with your enquiries. One thing that we like to point out is that it’s important not to panic about your debt problems but you also can’t ignore them - they will not go away. The first step before you begin tackling a debt problem is to compile a list of information about your money affairs. Start with a comprehensive list of all the people and companies that you owe money to. For each debt record the name and address of the creditor, the account number, the amount owed, and a copy of your original agreement. We always suggest that you keep the newest statement for each of your debts in one convenient place so you can find them if needed. If you receive court papers then you may need to act very quickly and this will save you time. If you aren’t sure how to proceed, you should get professional advice right away. After you’ve compiled a list of all your debts you’ll need to decide which ones are of the highest priority. There will be varying level of consequences for not paying each debt and you’ll want to decide which ones are the most serious. Priority debts are typically ones that you should address first. After you have dealt with these you can deal with the non-priority debts. An important step at this point is to determine exactly which debts are the most important to address first. At some point you may need to explain to the courts or your creditor why you chose to treat certain debts with more importance. Just because these are listed as non-priority debts doesn’t mean they are not important. If you don’t make an offer to pay these debts and cannot explain why, your creditors can still take you to court. The four sections on the left will help you address your financial difficulties before they become too much to deal with. If you still require further advice then please feel free to contact us today..